How well do you understand the needs of your freelance clients? Your level of understanding determines how successful your consultancy would be. In fact, understanding their needs is central to making sales. In this regard, needs refer to ambitions, goals, objectives, hopes or desires. 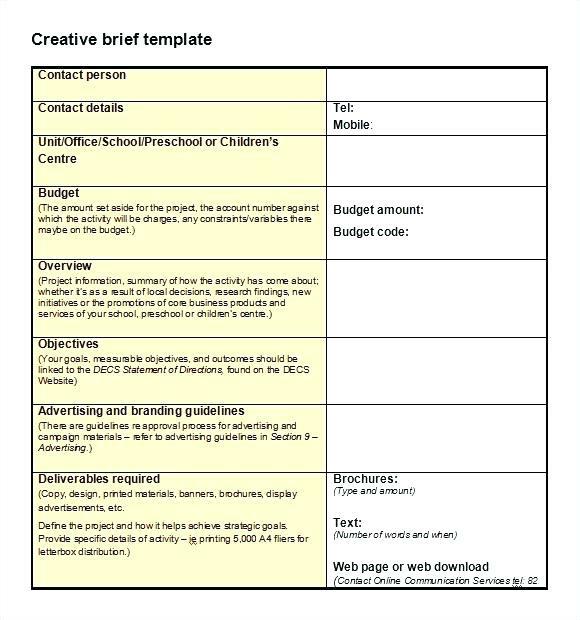 The creative brief Word template is capable of capturing the most important needs of your clients thus increasing your chances of delivering what he needs. Here is how the creative brief can be your ally in understanding clients’ needs. How many questions can you ask using the creative brief Word template? Not many! Nevertheless, that shouldn’t dissuade you from asking questions. 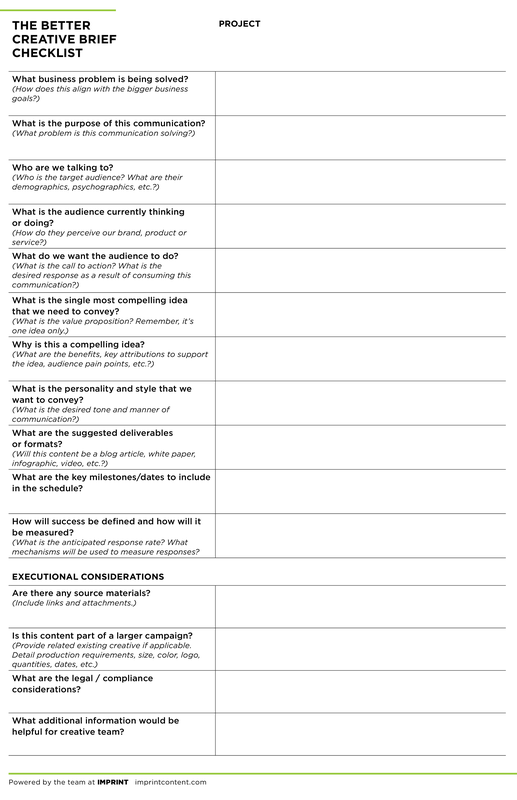 This 1-2 page document offers just enough space for asking questions and obtaining answers. The questions you ask offer you a better understanding of what your freelance clients really want or expect to get from you. With such information at your fingertips, what can’t you do for the client? Review examples of the types of questions worth asking your consultancy’s clients. How much attention do you offer your clients? You should offer them 100% attention. Otherwise, anything less than that would make you unable to understand your clients’ needs, which then makes it impossible to provide what they expect. Do not read attentively to benefit yourself or find contentious issues to bring up. Instead, listen to grasp the client’s perspective so that you can use the information to provide topnotch freelance services. Give your clients the attention they deserve, and you will succeed in making them feel valued. Creative brief Word template should help you to understand the freelance client’s reasons for buying what you offer. Why do they need this service from you? What do they hope to achieve once you submit the work? A good understanding of this issue will be helpful to you. For this reason, it’s important for the consultant to be cognizant of the solutions he’s capable of offering for each problem the client presents. The best freelancers are also some of the most effective problem-solvers. Freelancers will always interact with clients who like or dislike them. The latter provides crucial data that the consultant needs to determine the next course of action to take. For example, a client who dislikes you is more likely to go to your competition. Everything might indicate to you that you’re better off ignoring such clients and focusing all your attention on those who like you. However, doing that would deny you valuable information for improving your business. Use the data on the creative brief Word template to salvage relationships with bad clients. The amount of fresh information that you can get from interviews, questionnaires, and surveys is huge. Therefore, learn to ask questions. Ask your freelance clients as many questions as possible. Ask some of these questions using the creative brief. Let the clients know that the questions are part of your Know Your Client strategy. The answers you get help you to serve the clients better by addressing their actual needs. Nothing limits you in terms of what you can or cannot do to get a better understanding of the needs your freelance clients would like you to address. You can use several tools to improve the knowledge you have regarding these needs. The creative brief Word template is one such tool! Use it well to know what the client’s goals, expectations, and needs are. Make sure that any solution you offer tackles the problem that gives your clients sleepless nights.